We're all feeling pretty hopeful at our house tonight. And Poppy is really looking forward to seeing a big "change" in this country she now calls home. Fingers-crossed! 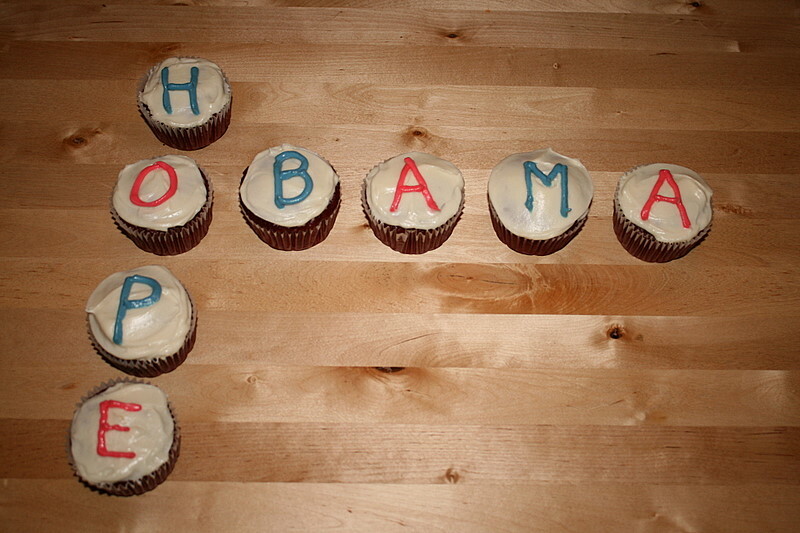 love the cupcakes:) GO OBAMA! Unfortunately I haven't completed my citizenship ceremony yet so I couldn't vote, but Poppy looked awfully cute on voting day! Those cupcakes look delicious, hope Poppy's candidate wins! YAY!! So adorable!! The cupcakes are great!!! 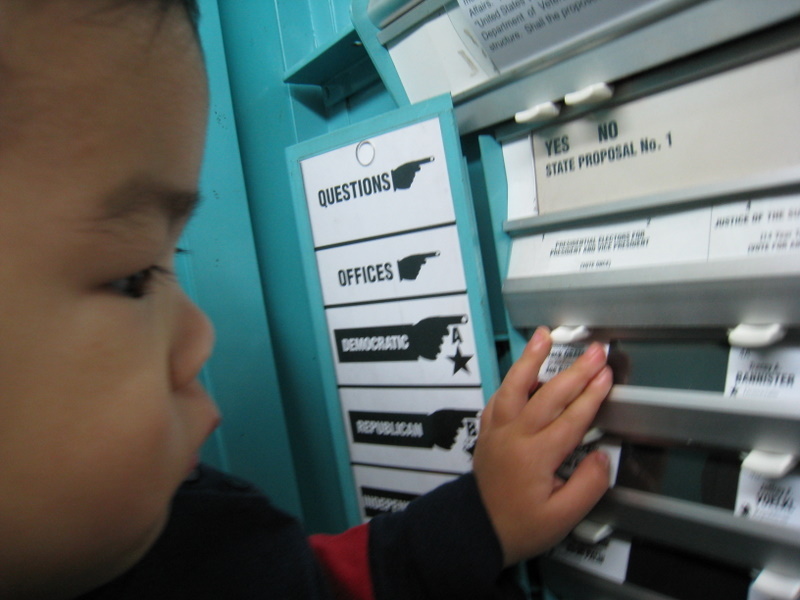 Our little democrat! I love that kid!!! Can't wait to see her again and get some more sweet Poppy kisses! And see her dance some more to a little Kanye West!! chocolate cupcakes and obama...throw in a few beautiful babies...life doesn't get any better, does it? LOVE IT>>>>way to go Amanda, another Obama Mama! 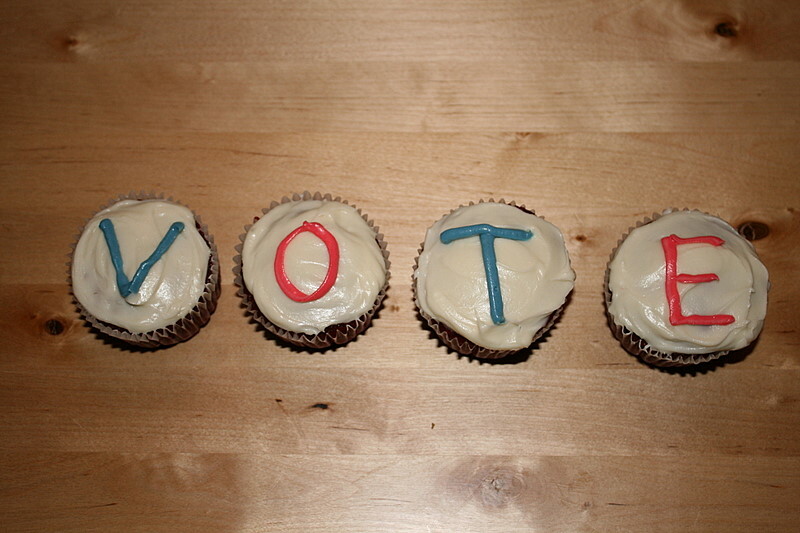 You know you have too much time on your hands when you make voting cupcakes :). I just caught up on the blog and I can't believe how big she is getting. Miss you bunches and can't wait to see you both again!